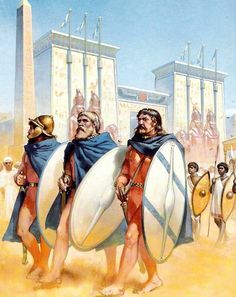 “19 to 25 October 1227 B.C.E. 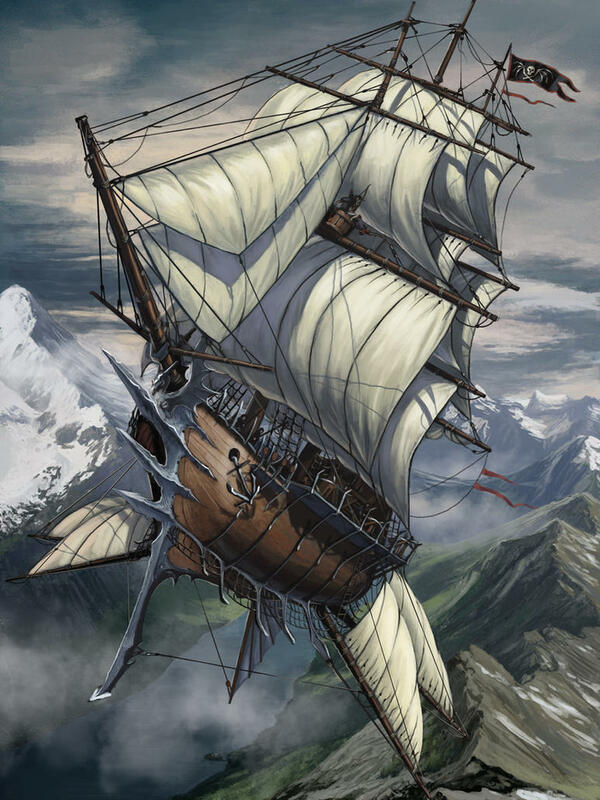 :” Upon its return to port, the adventuring party split up to distract the crew of the Lazy Goat while a few members checked out the cog for possible slaver gold. Once an alarm was raised, the would-be thieves regrouped and managed to evade blame. They then left on the Floating Eel, a mercenary vessel. The Floating Eel sails from Drunstimlos north toward Sanry. Kamar is familiar with the route and plays music for the crew and passengers. Nuriel continues catching up with his grandmother Itharides, who has hired the ship to take her to the (proto-Western European) human kingdom of Hifalendor. Kaelen watches Henry “the Ghost” Grayson, former captain of the pirate ship Bronze Storm and now first mate on the Floating Eel. Eldamir doesn’t trust the Ghost and his men, since the team had fought him previously while aboard the Saganim navy cruiser H.M.S. Dauntless. Barret peels vegetables in the galley and tells Puliarus about Hendlir, guardian of the ways. Cassy is nowhere to be seen. 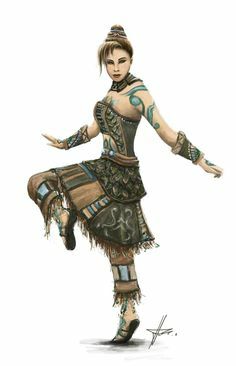 Itharides tells Nuriel that she is traveling east to deal with people who have betrayed her, and he offers to accompany her. The Ghost seems to have earned the respect of both Capt. Kassem al-Zaweh’s men and his own former crew, observes Kaelen. Eldamir tells his companions that he has been “communing with the storm lords,” who recommend looking for fellow Atlantean exiles in Hifalendor. Barret defeats three men in wrestling matches, earning 25 sovereigns (gold pieces). The “Masked Minotaur” notices Severus al Rakeem, a Dubwana (Hobgoblin) corsair, standing apart from the other spectators. Later that night, Eldamir overhears two sailors murmuring about a mutiny. 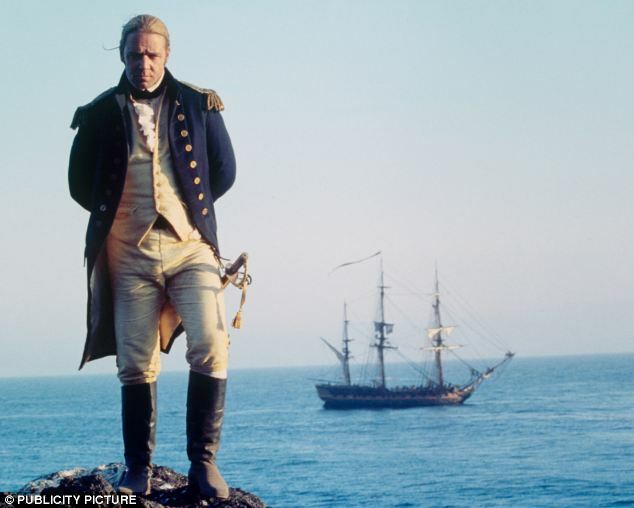 He discreetly gathers his group and recommends guarding the captain and Itharides. Kamar and Kaelen arrive on the main deck and are greeted by eight sailors brandishing belaying pins. The Bard casts True Strike, and the Ranger casts Hunter’s Mark on himself. 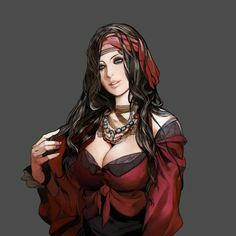 Nuriel stays close to Itharides and hears two apparently drunk seamen outside her cabin. 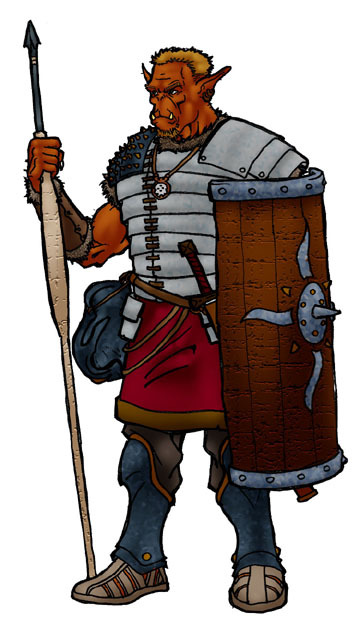 They bash the door in, and the Cleric of Corellan Larethian draws his sword. The mutineers beat him with makeshift clubs. Eldamir and Puliarus slip into the water to circle around. The Barbarian and Sorcerer find a Sahuagin, or shark man, lurking near the ship. Barret returns to the galley to watch the armory, but al Rakeem hits the Fighter with a frying pan. Itharides seems unconcerned as Nuriel Channels Divinity and knocks down both of their attackers with Radiance of the Dawn. The Grey Elves tie them up, don armor, and venture into the corridor. Nuriel casts Cure Light Wounds on himself. Horned Barret gets into a shoving match with the Hobgoblin, trashing the galley. Suthern (proto-Arabic) human Kamar throws a boarding axe, and Half-Elf Kaelen kills a mutineer with his two short swords. Eldamir rages against the Sahuagin, but Half-Elf Puliarus misses. 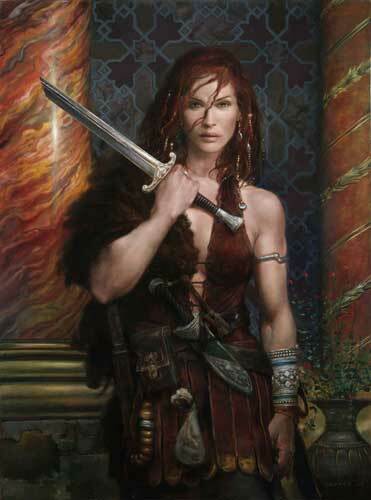 Nuriel heads upstairs to the main deck, while Itharides draws her sword Ramaqualme (“Winged Death”) and goes to the crew quarters. Kaelen kills a second sailor, but he and Kamar are soon overwhelmed by the survivors. Capt. al-Zaweh slays the Sahuagin with a crossbow bolt, and Puliarus stays in the water to make sure the mutineers have no other amphibious allies. Nuriel casts Burning Hands and Warding Flares before he, too, is knocked out. Fortunately, Eldamir climbs into the captain’s cabin, and he, Capt. al-Zaweh, and the Ghost charge out into the fray. 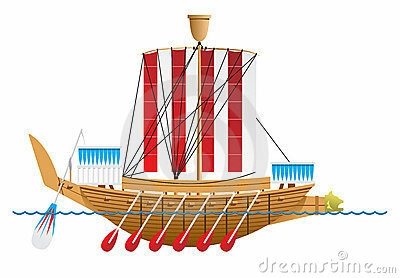 The mutineers on deck get no reinforcements because Itharides intimidates those in the hold into submission. Eldamir aids Kamar, who casts Sleep on three crew members. Kaelen regains consciousness and stealthily drinks a healing potion. 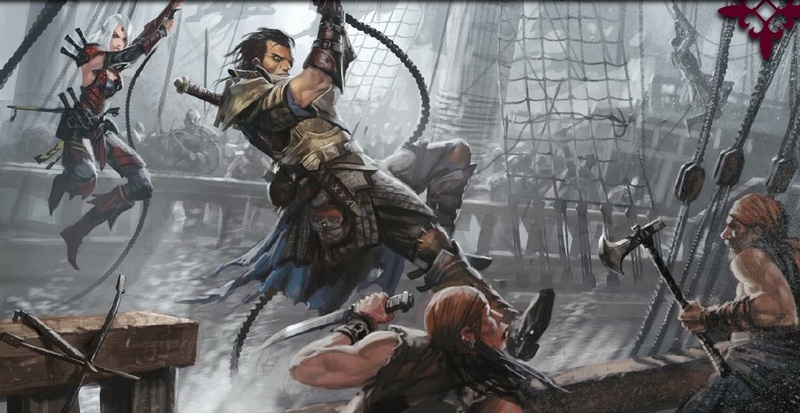 Kaelen joins Barret’s brawl in the galley and stabs the Hobgoblin before dragging him to the main deck of the Floating Eel. The remaining rebels surrender and are disarmed. Grayson reports to the captain that out of a crew of about 30 and a dozen mutineers, two are dead, six were wounded, and three are unconscious. Puliarus adds that the Sahuagin is also dead. Capt. al-Zaweh says that the mutineers will be restrained and set ashore at the next port, but the Ghost sets an example by executing al Rakeem. Kaelen assures the commanders that the rest of the sailors are loyal. That night, adventurers take double watches alongside the regular crew. Eldamir and Nuriel believe that Itharides hired cutthroats to test human virtue as she travels east to deal with evil guild members. The Floating Eel arrives at the Saganim (proto-Celtic) human village of Sanry. Nuriel looks for a temple to Ghanki, lord of the sea, but the only chapel in town is dedicated to Brijitt, goddess of fire and poetry. The priest had hoped to ask about finding a replacement for Fr. Gwydion in Drunstimlos. Kamar performs at the church of Brijitt and flirts with Eileen O’Shea. 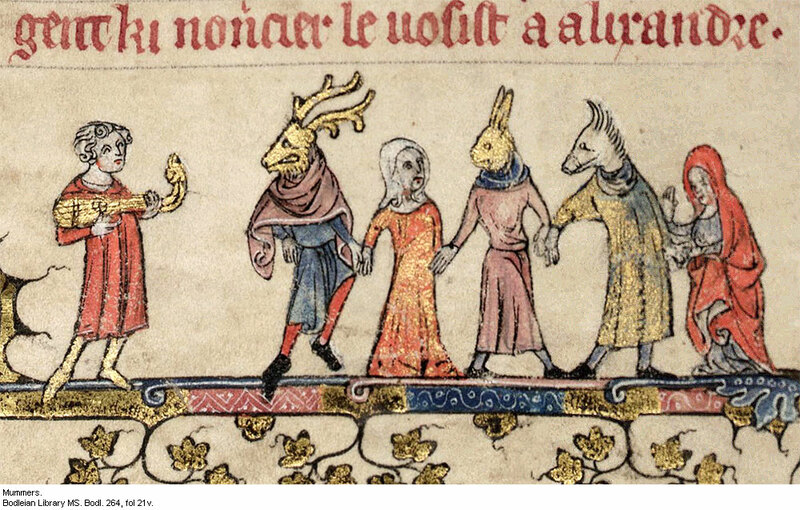 Most of the Bard’s companions head to the “Steed’s Stream” pub. Kaelen prays to tempest god Ano Wasu, and the scout is disappointed that Sanry has no brothel. Eldamir learns from Capt. al-Zaweh that the ship is staying only one night and that supplies should be available in the morning. The warrior of the Order of the Kingfisher watches to make sure the mutineers leave. Remembering that some Saganim peasants are intolerant of nonhumans and arcanists, Puliarus stays with Itharides on the Floating Eel. Barret looks for wrestling matches. 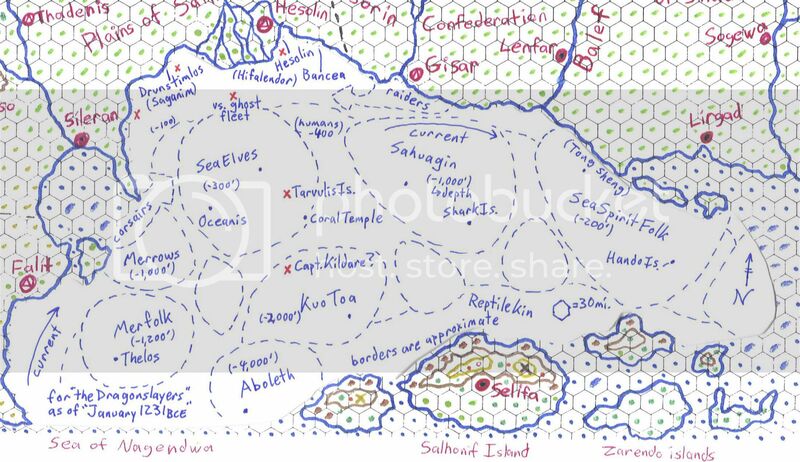 The next morning, the crew and passengers set sail for Semorn, the next coastal community on the way to Hesolin, the capital of Hifalendor. They later pass the swamps that fill the delta of the Aehonir River. Nuriel wants to explore the local culture, visit the temple of Addoh/Ghanki, and stay with Itharides and the Floating Eel. Kaelen wants to carouse, while Eldamir hopes to find fellow Atlantean exiles. Barret is interested in acquiring armor and various arenas. Puliarus agrees with Kamar and Eldamir’s caution to stay together. The away team bids a temporary farewell to the Floating Eel and enters walled Hesolin. Itharides gets a room at the Golden Horn Hotel for 4 crowns (gold pieces) per night. Kaelen pays for the rest of the group should also stay at the fancy hotel on the Castle Court. The hunter then visits Gnomish moneychangers on Sailor’s Walk and deposits 18 g.p. in gems, 6 pearls worth 10 g.p. each, 20 crowns, and 8 silver pieces — most of his wealth. Kaelen also wants to sell a scroll at the Istari Bazaar. The group walks along Embassy Row and through various markets in the shadow of the Royal Palace. Kamar says he’ll be in the College of Valor at the temple of Brijitt in the theater district. 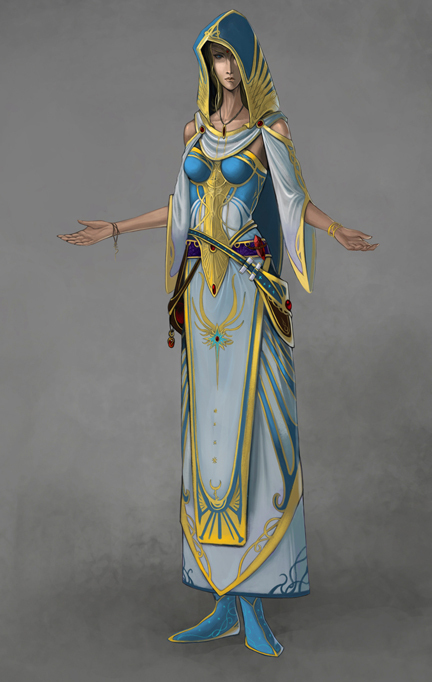 Cleric of Light Nuriel also plans to visit the cathedral of Corellan at Temple Court. Eldamir, who is on the Path of the Berserker, buys two rope nets and a metal one. 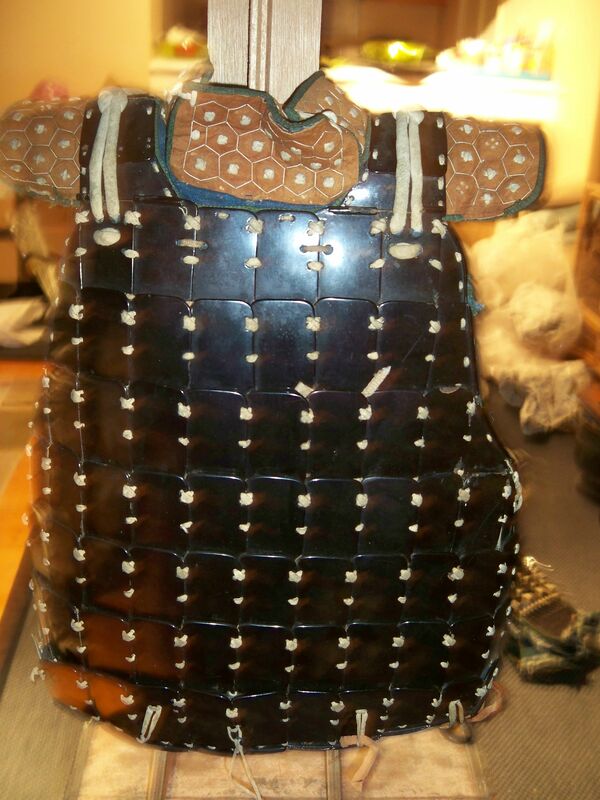 Barret goes to South Square, where the Minotaur commissions light wooden armor for 20 crowns. Although he is a storm Sorcerer, Puliarus is curious about the Magisterium (magic school). Kamar offers to join him. 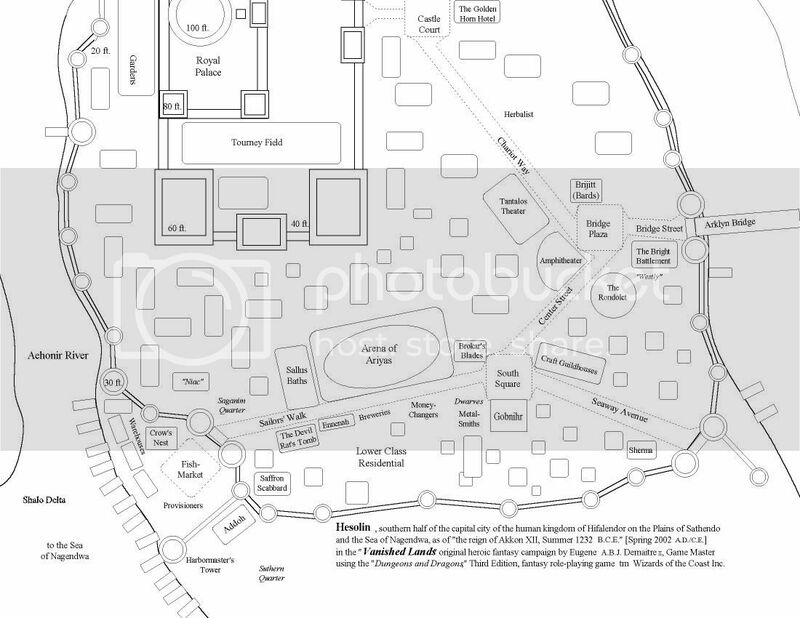 Eldamir buys a map of the city and says that the Library of Memir and the Rangers’ Gate might be additional sources of Atlantean lore and potential missions…. Remember to update your character records on Obsidian Portal to Level 3! I’ll post separately regarding trinkets and destinations in Hesolin. I look forward to starting the higher-level D&D5e “Vanished Lands” telecom team, as well as to rejoining Jason’s “Star Wars: Dark Times” game. In the meantime, stay in touch. Posted on September 27, 2015 February 16, 2016 by GeneD5Posted in Fantasy & Steampunk, Games, Vanished LandsTagged D&D5e, Party 41, rpg, update. 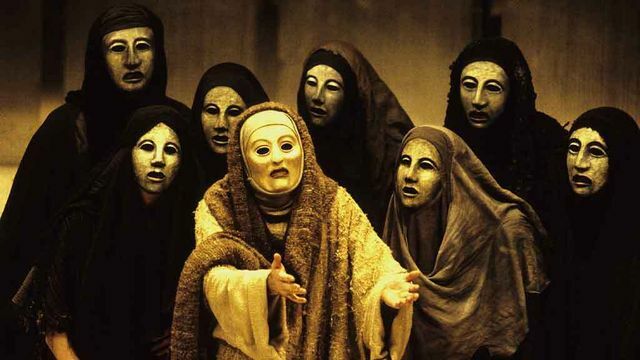 “14 to 18 October 1227 B.C.E. :” In close combat off the Saganim coast, the crew and mercenaries of the H.M.S. Dauntless defeated the pirates aboard the Bronze Storm. The naval vessel seized weapons and booty from the schooner and headed back to port. The adventuring party is dismissed from the Dauntless as it arrives in the Saganim (proto-Celtic) human town of Drunstimlos. Kamar invites Alitasse Vorwende, the Thalassaquendi (western Sea Elf) purser, to dinner at a clam shack. 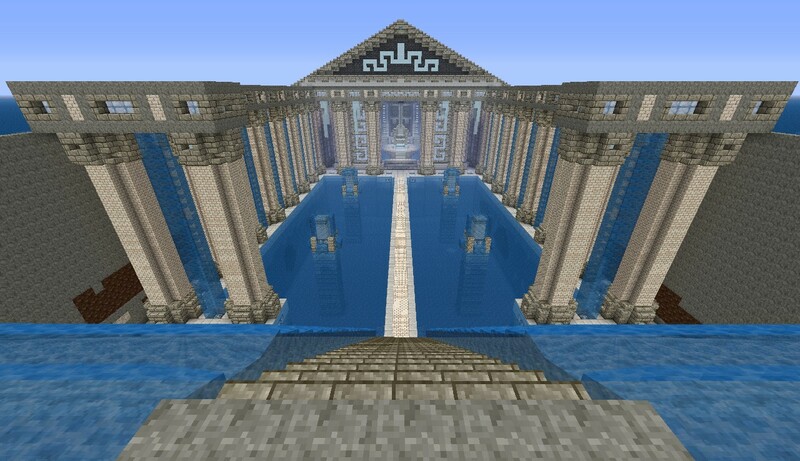 Nuriel, Kaelen, and Barret plan to visit the local church of Ghanki, lord of the sea. Cassy reminds her companions of a rumored shipment of slaver gold on the Lazy Goat before she disappears into various alleys. 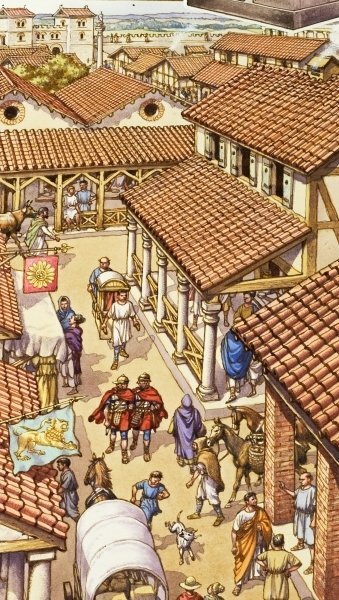 Eldamir warily follows Nuriel, while Puliarus heads straight for the “Sailor’s Climb” public house. He meets scrimshaw artist Helen O’Leary in addition to the usual fishermen and farmers. Kamar and Alitasse go for a long walk on the beach. Nuriel and company walk to the temple of Ghanki and look for Fr. Gwydion. Eldamir is disgusted when he sees the drunken priest cavorting with a parishioner in the graveyard. After chasing away some street urchins leaving graffiti, Kaelen and Barret continue cleaning the decrepit church. Puliarus and notices a young man wearing a tabard sitting alone in a corner of the pub. A group of women tell the Half-Elf that he is Sir Sigmund Adelbard’s squire. The servants also say that their master, Lord Caerdon, has been in a bad mood lately and that he sent them out for the evening while he entertains the visiting knight. At the temple of Ghanki, Nuriel offers tithe of 25 sovereigns (gold pieces) to Fr. Gwydion and asks for help with an “afflicted friend,” meaning Eldamir, whose eyes glowed with an unholy rage during the recent battle with the Bronze Storm. Fr. Gwydion is interested in the prospect of an exorcism, and the Atlantean human reluctantly submits to examination at Grey Elf Nuriel’s request. Barret returns to the tavern to look for a pit fight, and Kaelen searches for a shrine to Ano Wasu, the lady moon. Nuriel goes to fetch a bucket of water for Fr. Gwydion, who conducts a divination. The Cleric states that Eldamir will have to fight an earth elemental to atone for his sins. Nuriel takes just enough holy water for his own purposes. 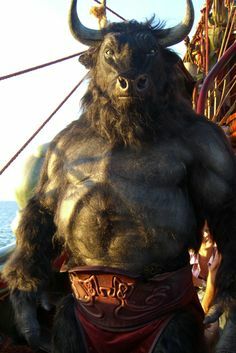 Outside the Sailor’s Climb, Barret becomes “the Masked Minotaur” and enters a brawl with burly human Eavin. Half-Elf Kaelen watches bets change hands and learns that the Lazy Goat has a Hobgoblin captain. Puliarus flirts with one of Lord Caerdon’s maids, but the Half-Elf is unsuccessful. The next morning, the group visits Brenda O’Connor at the guard tower. Puliarus practices archery and buys arrows. Brenda pays the adventurers 10 talents (1,000 silver pieces or 100 gold pieces, about 16 g.p. each) for capturing a Necromancer. However, the Saganim militia captain explains that Morgwyn has been released to his family, because the O’Bannons own a lot of land and are influential. It’s also possible that Fr. Gwydion interceded on his behalf when Lord Caerdon visited town about a week ago, Brenda says. Kaelen observes that’s when the maids said his mood changed, but Brenda says she didn’t notice anything amiss. 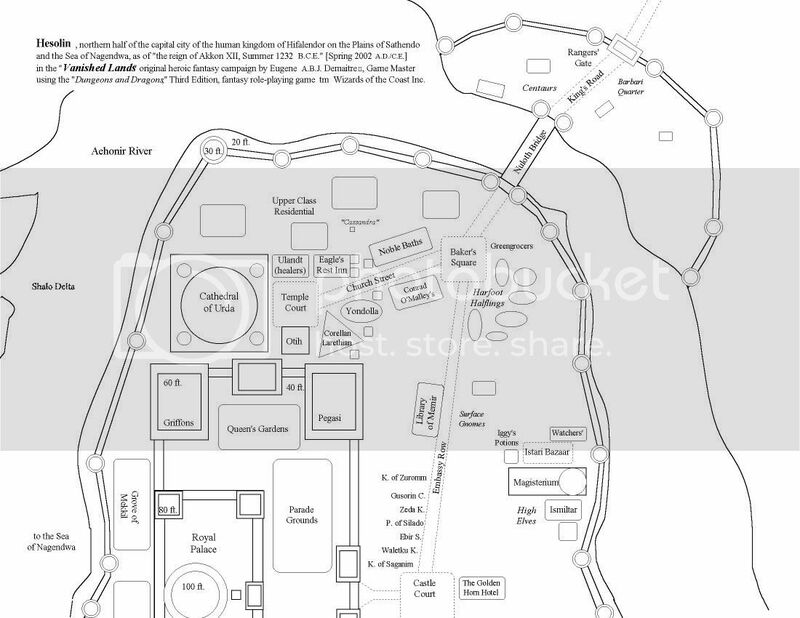 Eldamir buys another map of the area around Drunstimlos from Vaughn Rikkar, a Half-Elf Bard. The team returns to the tavern to debate its options. 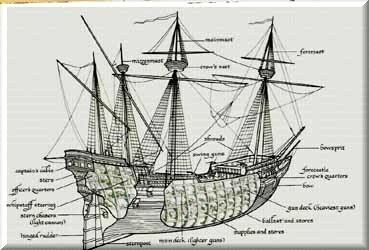 The gold shipment aboard the Lazy Goat is the most time-sensitive, argue roguish Kamar and Cassy. Restless Kaelen wants to sign onto another ship, but cautious Eldamir and Puliarus wonder why Lord Caerdon has been acting strangely. Righteous Nuriel and Barret want to investigate the Necromancer’s family manor, which is about a day’s hike from Drunstimlos, according to a map from Fr. Gwydion. The group decides to check out the rumored shipment of slaver gold first. 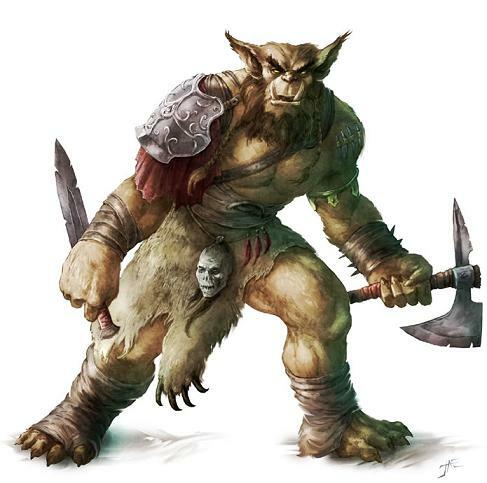 Kaelen finds two Goblins from the Lazy Goat and asks them to arrange a meeting with its commander. He and Barret wait for Capt. 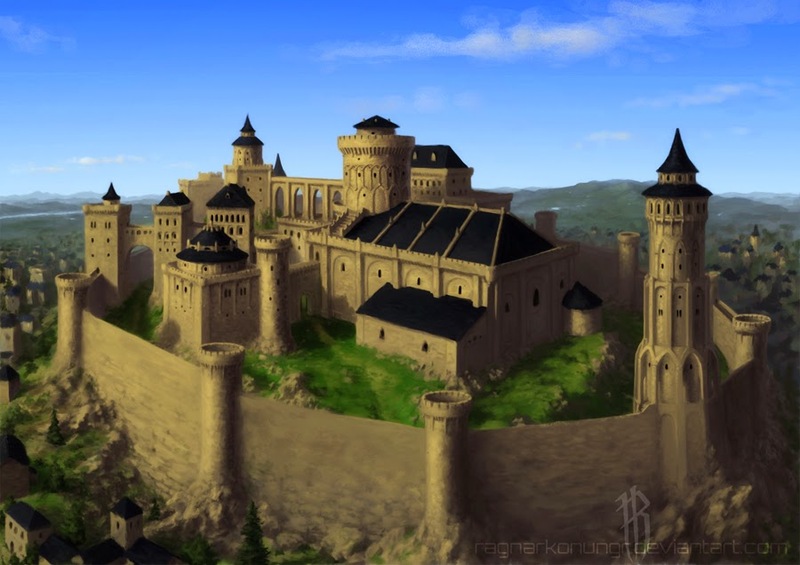 Kurath “the Cruel” at the edge of town, with Nuriel a discreet distance away. Kamar, Eldamir, and Puliarus go to check out the cog while most of its crew is ashore. As night falls, they sneak down to the docks and swim out to the ship. Capt. Kurath arrives with two Orcs in addition to the two Goblins. The armored Hobgoblin explains that he asked to meet away from the inn because humanoids are generally unwelcome in Saganim territory. Kaelen poses as a “contractor” looking for slaves for a Dark Elven mine. Kurath responds that he might be able to help. Nuriel notices that both Kurath and Kaelen are taking their time haggling. Barret talks with the Orcs and learns that Nosepicker likes to wrestle and Groinbiter is a boxer. Meanwhile, Kamar swims to the prow of the Lazy Goat and peers into a porthole. He sees hammocks of the crew in a forward section. Amidships, Eldamir sees a weapons rack, while Puliarus finds a chapel aft. They quietly climb onto the ship and try to avoid three human sentries. Kamar casts Sleep on one guard, and Eldamir leads the way downstairs. Puliarus casts a Light spell on a coin. As the trio passes the middle deck, it bluffs its way past two sailors playing dice. The Bard, Barbarian, and Sorcerer find no signs of slave quarters in the hold, but they do find a vault with a locked door. In town, Ranger Kaelen gives Kurath a pearl worth 10 sovereigns as an advance on 150 g.p. for a set of slaves. Kurath says that he’ll need several days to procure and transport them. Cleric Nuriel follows the Goblins before returning to the temple of Ghanki. Gladiator Barret arranges to meet the Orcs later. On the Lazy Goat, Kamar picks the lock and disables a trap that would drop an iron bar. He, Eldamir, and Puliarus enter the vault and find several chests of coins. 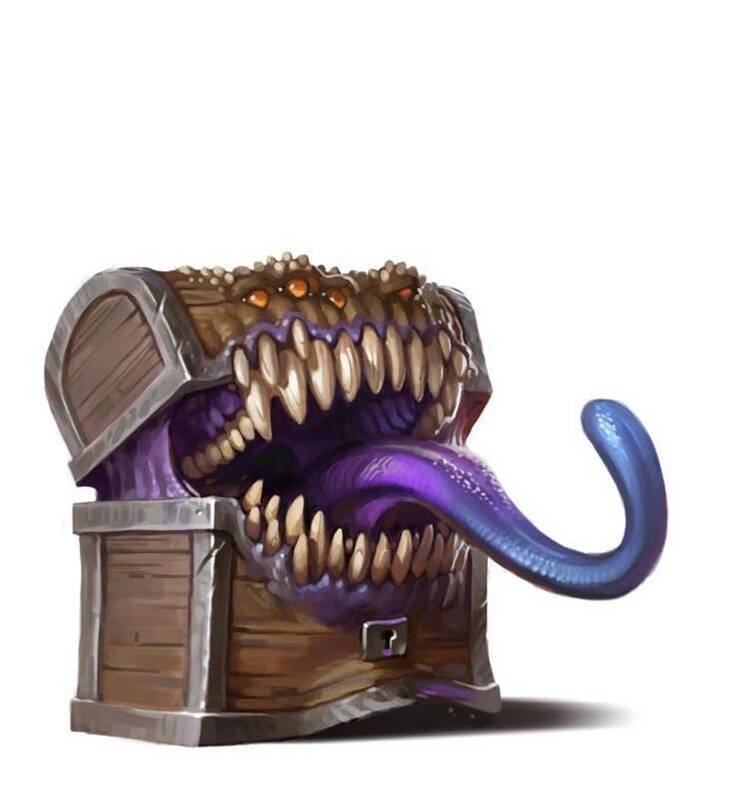 However, one turns out to be a Mimic! Eldamir throws a net onto the purple-tongued aberration, but it dissolves in its saliva. Kamar casts Sleep, which has no effect on the Mimic. Puliarus casts Fire Bolt and backs up. Enraged, Eldamir makes a reckless attack with his trident, and Kamar switches from his rapier to a crowbar. Puliarus casts Magic Missile, and Eldamir finishes off the Mimic. Kamar grabs 30 gold coins as Eldamir pulls him out of the vault. Back on the top deck, three men aim crossbows at the infiltrators. Puliarus casts Fog Cloud to cover their retreat. Shortly thereafter, a sailor calls Capt. Kurath away from his meeting with Kaelen and company. Kamar, Eldamir, and Puliarus find Barret in a field outside Drunstimlos wrestling with the two Orcs. They send Nosepicker and Groinbiter away as they regroup. Kamar recommends finishing the job and robbing the apparent slavers. Kaelen wants to get away before Kurath can alert his crew or the watch to hunt the would-be thieves. Nuriel and Barret want to use Fr. Gwydion’s maps to inquire into the manor of the Necromancer. They also point out that Lord Caerdon’s mysterious behavior might be worth investigating. 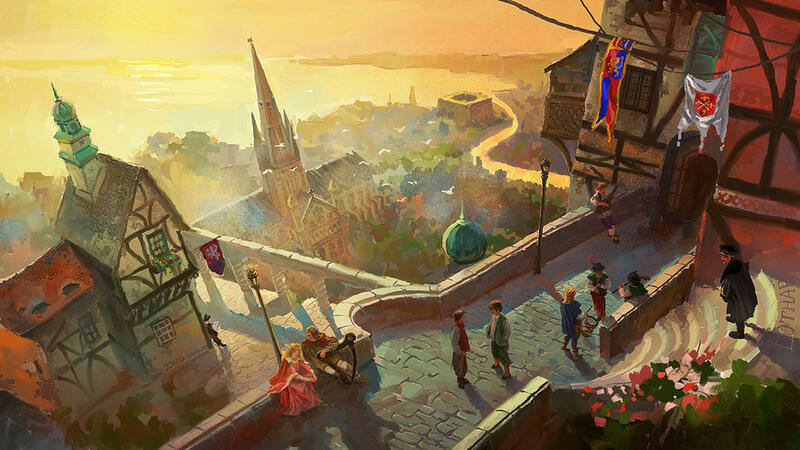 Ultimately, Eldamir and Kaelen persuade their friends to find another ship and leave town. The travelers stop by the Sailor’s Climb to retrieve some possessions and then camp outside of town as autumn winds and rain sweep across the coast. Kamar and Nuriel take the first watch and try to stay warm without a campfire. During the second watch, Barret and Puliarus sit still as plaid-clad horsemen pass nearby. On the third watch, Kaelen and Eldamir stay put even as they hear a scream out on the moors. In the morning, the bedraggled band walks back to the docks and sees guards posted on every pier. Kamar and Puliarus notice two ships — the Floating Eel and the Wandering Eye, which has a Beholder skeleton as its figurehead. Nuriel is surprised by Itharides, his grandmother and a famous adventurer. Unlike most Grey Elves, Itharides has sought to help humans for centuries. Nuriel tells the others that he’ll be at the pub catching up with his kin. Sometime later, Kamar, Kaelen, Eldamir, and Puliarus row out to the Floating Eel.They are surprised to be greeted by Henry “the Ghost” Grayson, former captainof the Bronze Storm! 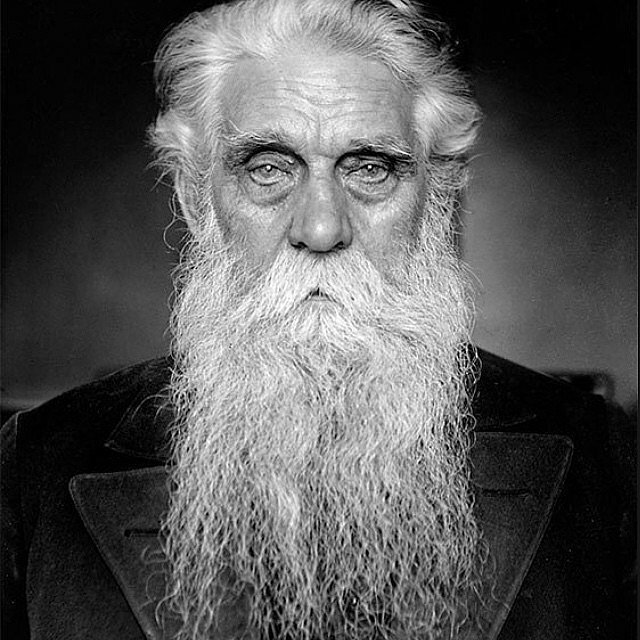 After the Dauntless set his ship adrift, it foundered, and its crew was rescued by the Floating Eel, he explains. Puliarus befriend the mercenaries and pirates on the Floating Eel, but Eldamir is more wary of the Ghost. Kamar and Kaelen ask Capt. Kassem al-Zaweh for passage from Drunstimlos. 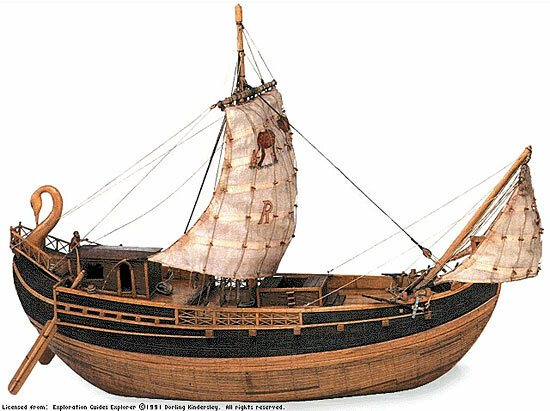 The Suthern (proto-Arabic) human notes that the ship is already pretty full and has been hired by Itharides to go to the kingdom of Hifalendor. Kaelen says that the great Grey Elf would want Nuriel and his associates to come along. Capt. Kassem replies that he’ll allow them to share bunks (in double shifts) with his sailors, but on the condition that there are no problems with the former crew of the Bronze Storm. The foursome returns to town and splits up. Kamar begins drinking heavily at the Sailor’s Climb, where Nuriel is talking with his grandmother. Cassy is nowhere to be seen. Brenda O’Connor invites Kaelen to a council she has called with the captains of the ships in the harbor to discuss the recent theft. The Bard brings Barret along. Since he is a suspect in the break-in, Eldamir decides to camp outside Drunstimlos. The Barbarian climbs a tree to spend the night. Puliarus goes back to the temple of Ghanki to check on shady Fr. Gwydion. 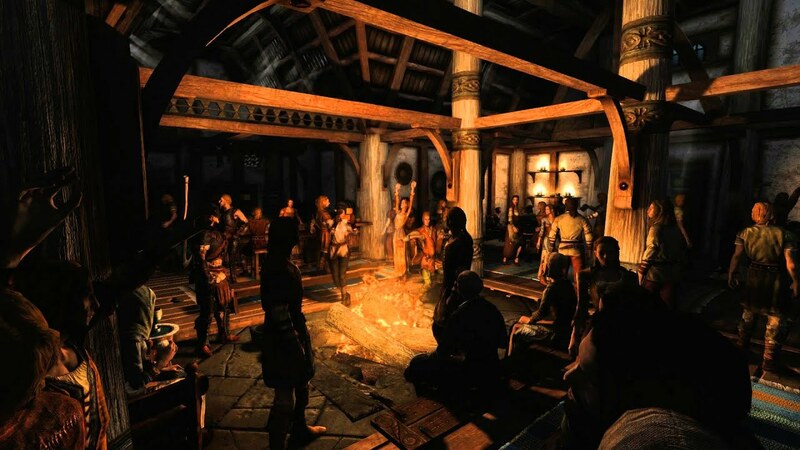 At the pub, Kamar sings loudly about recent misadventures [to the tune of “Smooth Criminal”], and Nuriel plans to meet with Rowan Thorne, the local mage. 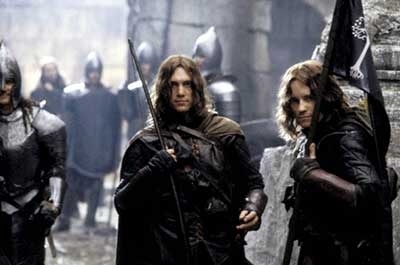 Kaelen and Barret follow Brenda to the watchtower, where they meet Capt. Sheridan Driscoll of the H.M.S. Dauntless, Capt. Kurath of the Lazy Goat, Capt. Kassem al-Zaweh of the Floating Eel, and Capt. Massimo Vittorio of the Wandering Eye, a Hifalendorin [proto-Western European] merchant ship. Capt. Driscoll [Rich C.G./Non-Player Character] nods in recognition to Kaelen and Barret. The Saganim naval officer assigns royal marines to help patrol the docks while the Dauntless is repaired. Kurath the Cruel [Brian W./N.P.C.] 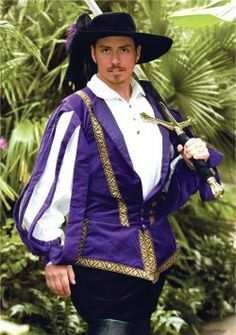 demands justice and sets a bounty of 30 sovereigns for each thief. The Hobgoblin declines to say what was stolen and glares suspiciously at helpful Kaelen and bored Barret. Capt. Kassem [Charles S./N.P.C.] says that poor security could hurt Drunstimlos’ reputation as a free port and that he plans to leave soon. Capt. Vittorio [Beruk A./N.P.C. 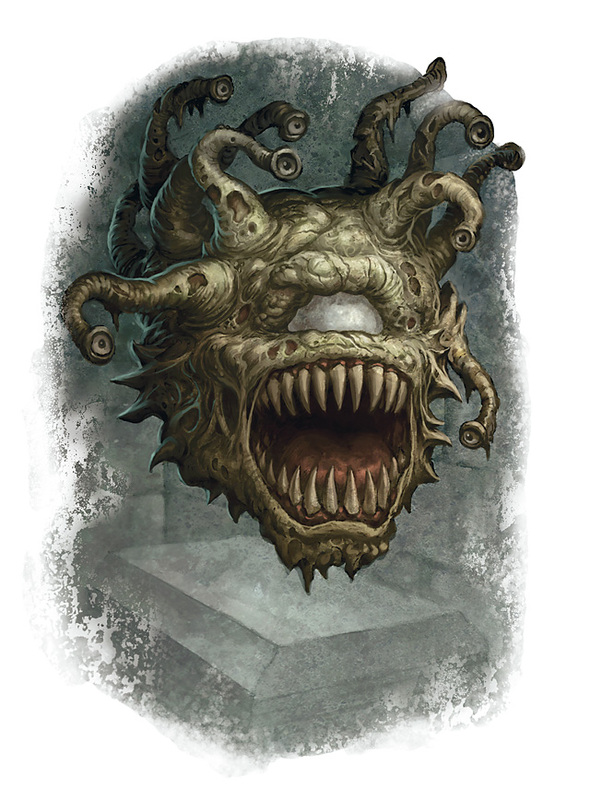 ], whose ship had the Beholder figurehead, eventually agrees to support the manhunt. Outside town, Eldamir hears a strange clacking in the branches above him. He peers up and sees several skeletons swaying in the wind. The Hangman Tree sends snaking branches to impale the Atlantean human, who jumps down and runs away. Friendly Puliarus Mends the church’s leaky roof and manages to swallow some of Fr. Gwydion’s strong alcohol. The storm Sorcerer gets permission to stay the night. The troublemakers manage to cast blame on Sea Elves for the fragments of Eldamir’s net and a Halfling for the burglary on the Lazy Goat. Ranger Kaelen places misleading tracks outside of town and finds Eldamir. The Lazy Goat departs, and the travelers leave Drunstimlos on the Floating Eel. Capt. Kassem orders first mate Grayson to set course northeast. Kamar rummages among his musical instruments to entertain the merged crew. Nuriel escorts Itharides aboard and keeps an eye on his wayward bodyguard. The Cleric of Corellan Larethian also talks with the Ghost, who says he bears no ill will, since nobody was hung for piracy. Kaelen gets comfortable in the rigging and watches how Capt. Kassem manages his mercenaries. Eldamir keeps lookout in the prow and avoids Grayson. Barret busies himself peeling vegetables in the galley or pulling oars. 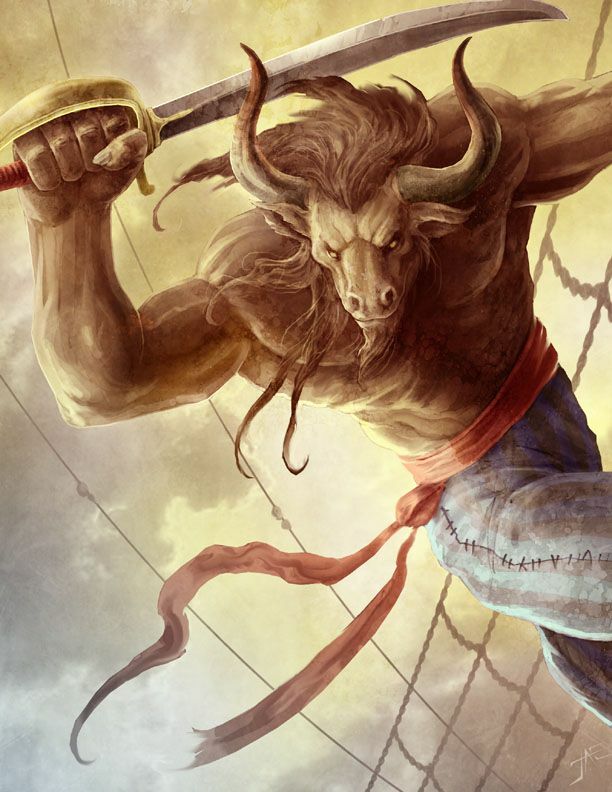 The Minotaur soon earns the respect of his peers and looks for wrestling partners. Puliarus observes that the ship has magical protections even though it lacks a regular mage. The Half-Elf also helps with lore and mending, as well as with nightly underwater patrols. The warship sails across the northwestern Sea of Nagendwa toward the village of Sanry…. Posted on August 27, 2015 by GeneD5Posted in Fantasy & Steampunk, Games, Vanished LandsTagged D&D5e, Party 41, rpg, update. “12 to 13 October 1227 B.C.E. :” The Saganim naval cruiser Dauntless braved a storm on the northwestern Sea of Nagendwa and reported on recent coastal threats to the H.M.S. Brave Duchess near Sileran. On the way back to the port of Drunstimlos, the patrol engaged the pirate ship Bronze Storm. 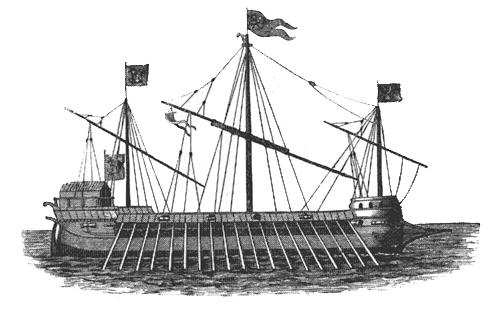 After several tense moments as the ships closed, exchanging artillery fire, the crews ready for boarding and melee. Otter-kin Cassy dives into the water, and Half-Elf Kaelen casts Cure Light Wounds on himself. Half-Sea Elf Puliarus grabs Rista Facebiter, the Bugbear whom Eldamir pulled overboard, and deals him a Shocking Grasp. Eldamir is unable to retrieve the shaggy humanoid’s sword, so the Atlantean human swims back to the surface. A volley of arrows from the Bronze Storm hits Nuriel, Kaelen, and Barret, but the pirates’ first attempt to grapple the Dauntless with chains and hooked boarding planks fails. Kamar grabs a rope and swings across, knocking over a barrel of pitch on the enemy deck. Nuriel drops his bow and uses Thaumaturgy to amplify the commands of Lt.Cmdr. Brock ap Corgan, leader of the Royal Marines. Minotaur Barret also swings over and smashes one of the brigands. Cassy climbs out of Puliarus’ Fog Cloud around the Bronze Storm ‘s helm and duels with a cutthroat in the rigging. Kaelen swings over from the warship and stabs another pirate, as Puliarus’ Shield reaction protects him from the struggling Bugbear. Eldamir climbs past Puliarus to the helm and swings wildly through the fog. Enemy archers hit Kamar and Barret, but the sailors aboard the Dauntless strike their marks in return. Kamar ignites the spilled pitch near the trebuchet and casts Sleep on one of the men surrounding him. Nuriel holds his position on the Dauntless to repel boarders, while Barret gets into a shoving match with a mass of pirates. Rogue Cassy stabs her foe with her rapier and climbs up to another. Ranger Kaelen finds himself facing a female pirate and switches to the flat of his two short swords. Sorcerer Puliarus disengages from the drowning Bugbear and climbs onto the Bronze Storm. Barbarian Eldamir grabs a random sailor in the fog and jumps overboard with him. The pirates slash at Kamar, Nuriel, and Barret, while some members of both ships’ crews are busy putting out fires. Bard Kamar quaffs a potion of Healing, and Cleric Nuriel kills four would-be boarders with Burning Hands. Fighter Barret slams two pirates and gores a third. 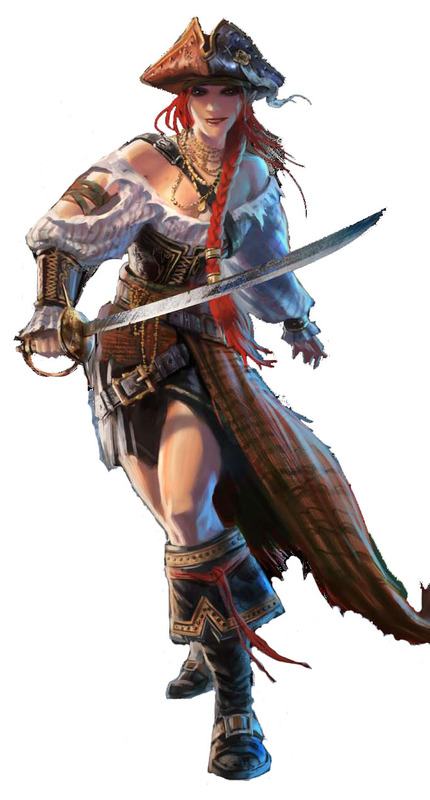 Cassy trades blows in the rigging, as Kaelen knocks the woman unconscious and kills another pirate. Puliarus returns to the sea when he sees the fracas on deck and then Flame Boltsone of the raiders who has gone overboard. Back on deck, Eldamir grabs a cutlass and heads below. Kamar slays one seaman as Nuriel comes to his side. Barret, Cassy, and Kaelen miss their opponents, even as the Dauntless and Bronze Storm are locked in combat. Puliarus retrieves “Tempest,” Eldamir’s trident, from the pirates’ rudder. 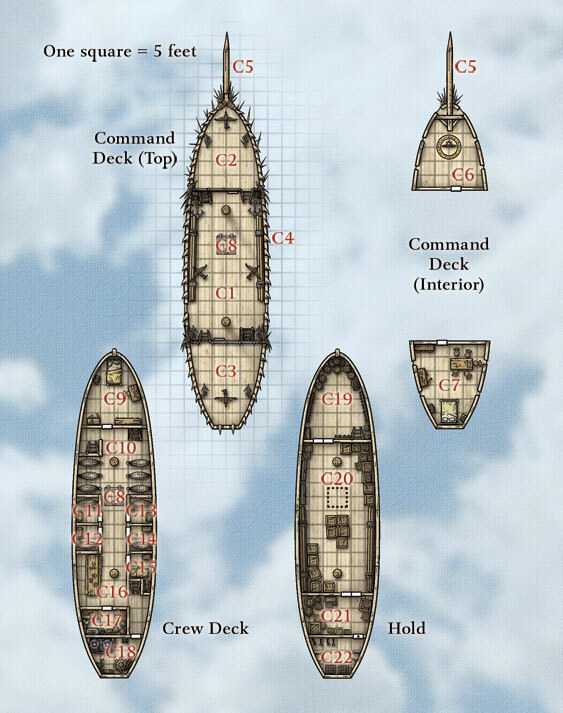 Below deck on the Bronze Storm, Eldamir finds himself surrounded by two pirates and face to face with Capt. Henry “the Ghost” Grayson. The brave Barbarian notes that much of the crew is dead, and he recommends ceasing hostilities. Capt. Grayson reluctantly agrees and escorts Eldamir back to the main deck to surrender. Capt. Sheridan Driscoll of the Saganim (proto-Celtic) human navy accepts his sword. Out of a crew of about 30 people, the H.M.S. Dauntless has lost five, while theBronze Storm has lost more than a dozen out of 40 and suffered more damage. Brother Egil and Halfling chef Bungo Longtoes help Nuriel attend to the wounded on both ships. Cmdr. 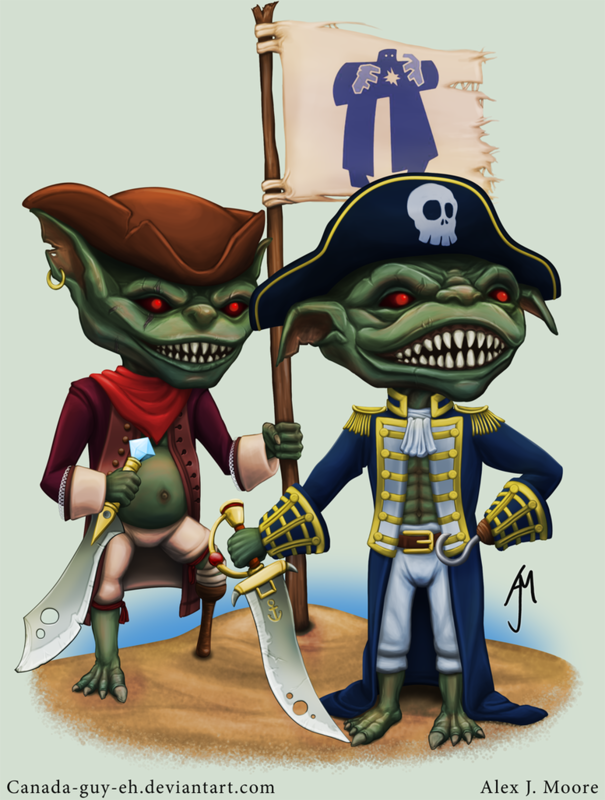 Perry Maxwell and Barret, nicknamed “Stompy” by Eldamir, supervise the disarming of the pirates. Nuriel, Kaelen, and Eldamir accompany the captains as they discuss terms, while Cassy and Kamar join Lt.Cmdr. Brock in looking at the hold of the enemy vessel. Have the Bronze Storm follow the Dauntless to the nearest Saganim port, where its crew will all be hung. 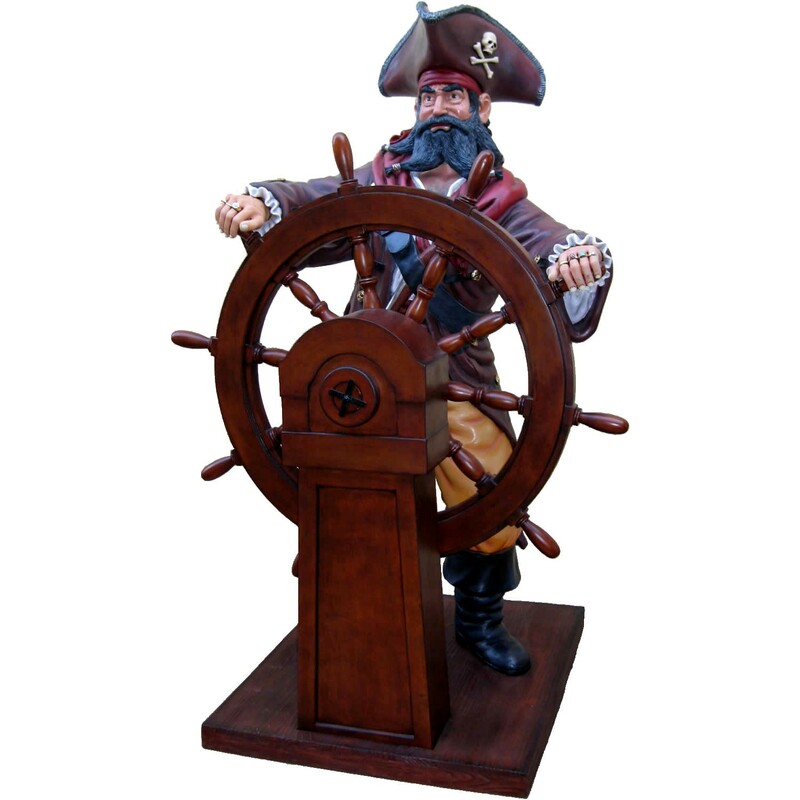 Set the pirate commanders adrift in a rowboat or maroon them, leaving the rest of the crew to its own devices. Release the Bronze Storm and its disarmed crew, with the vow that they never again trouble Saganim ships or be destroyed in a future encounter. Atlantean human Eldamir successfully intimidates “the Ghost” and asks Capt. 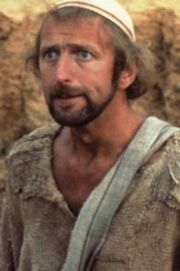 Driscoll to consider allowing the pirates to become privateers in service of the kingdom of Saganim. He agrees to consider it but adds that the laws of the sea are clear. Suthern human Kamar sings a sea shanty [to the tune of “The Man Down Under”] in an attempt to distract the Dauntless officers from Otter-kin Cassy. They find two chests full of coins, as well as some jewelry and a book of spells. Capt. Grayson accepts the sentence of stripping the Bronze Storm of all weapons and releasing it with its full crew under oath. Barret breaks the last gangplank, and the Dauntless sails away before any more pirate ships can arrive. Kamar invites Alitasse Vorwende, the Thalassaquendi (western Sea Elf) purser, to a candlelit dinner. Nuriel and Puliarus discuss tactics with the dromond’s officers, while Cassy and Barret celebrate their recent victory with the crew in the hold. Kaelen and Eldamir argue over who did more to defeat the pirates, drawing a rebuke from Cmdr. Maxwell, who notes that excessive boasting from sellswords can hurt crew morale. He recommends that they seek other employment while the Dauntless is in port for repairs. As the naval vessel returns to Drunstimlos, Cassy tells her companions about a ship from the Zarendo Islands supposedly laden with slaver gold…. 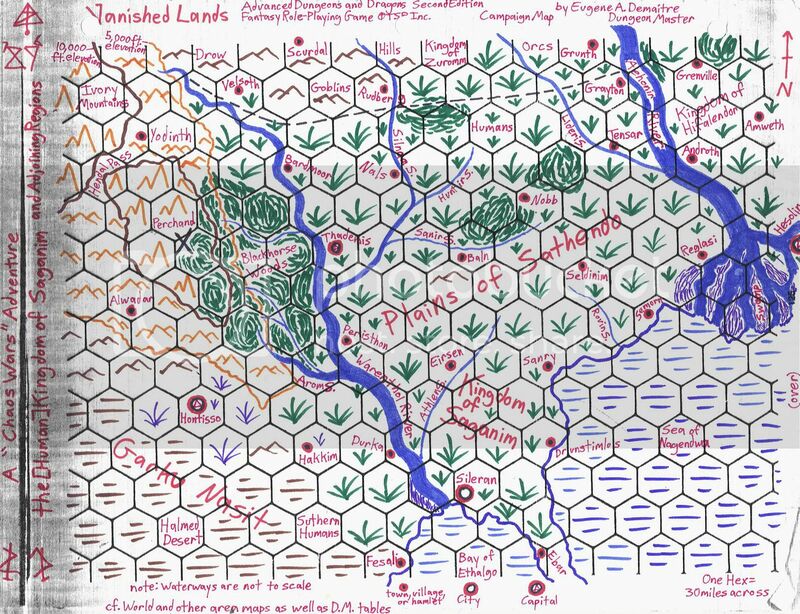 It was good to see some of you at our latest “Vanished Lands: A New Dawn” virtual session and “Star Wars: Dark Times” at “JasonCon 2015!” Note that I’ll be running “Star Trek: Restoration” and this D&D5e crew for the next two weeks. Posted on August 11, 2015 by GeneD5Posted in Fantasy & Steampunk, Games, Vanished LandsTagged D&D5e, Party 41, rpg, update.